challenge a couple of months ago. kid friendly as many of you could design it. the little goblins at my front door. BOO! Love it! I've decorated many of these paint pails and used them as the containers for gifts. My daughter likes the personalize them for her friends' birthdays and add cookies or brownies inside. Thanks for sharing! This is Soooo Adorable for a candy pale!!! I LOVE LOVE LOVE IT!!! I seriously think every kid would LOVE it too!!! TFS... 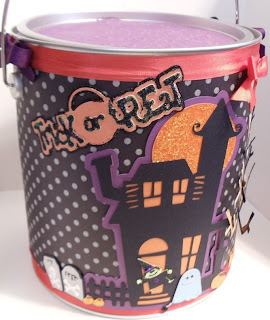 I always have trouble finding cute Halloween Bowls to keep candy in that I am Passing out. Very Very Inspired!!! very cute!! What cart is that from? I don't have any Halloween carts! 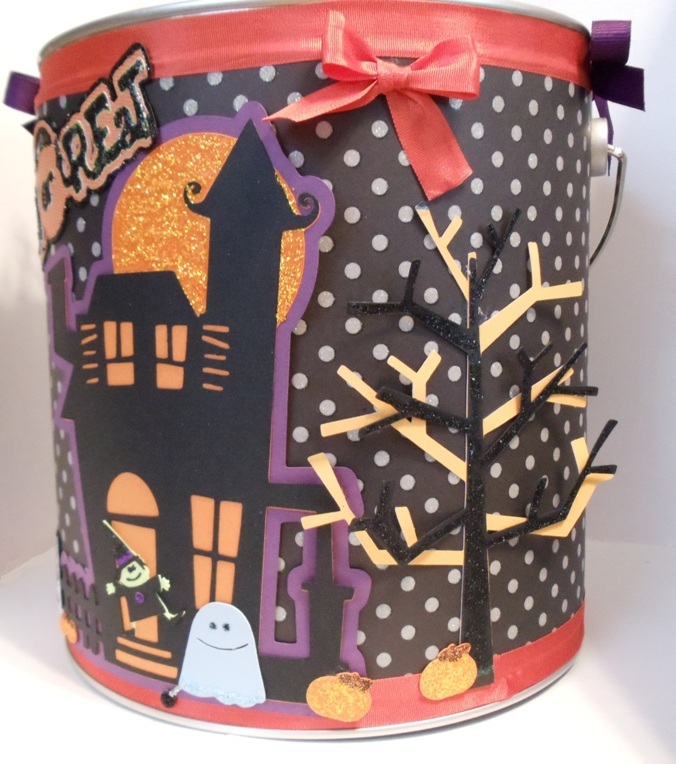 I am trying to design my Halloween cards this week!! Thanks for inspiring! Hi! 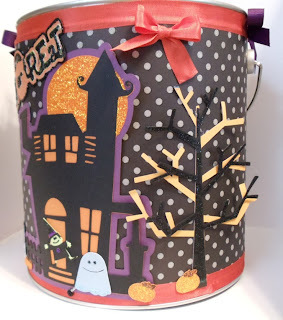 I am sad to say that I do not like this pail....I LOVE it! Oh my gosh, it is so great. What a beautiful can. I think that everyone I know would love something like that for their desk or house! Super, super cute! Thats what I would have made the pail for . To give candy out to kids. This is sooo cute! great idea!! this would be cute to make to keep on my desk at work!! 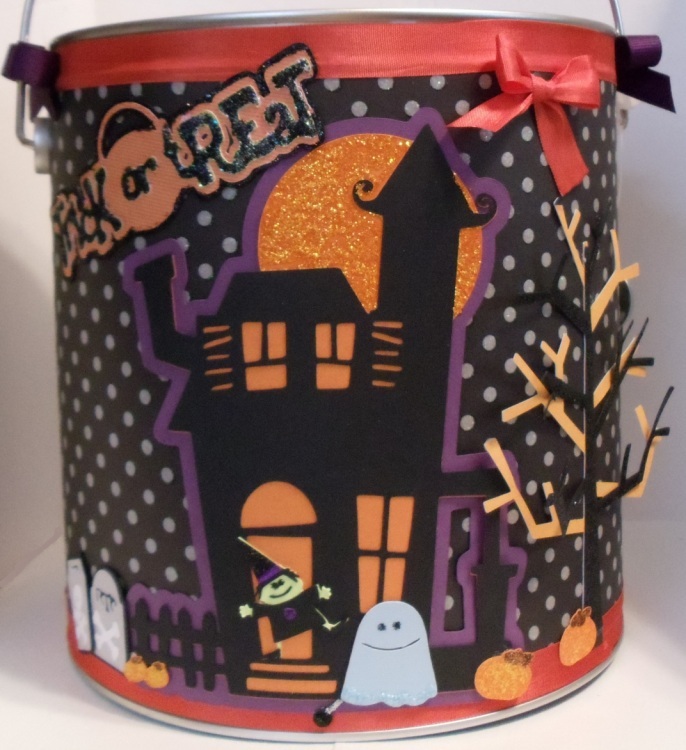 This is a great candy pail. I would use it to pass out candy or let my daughter use it. She would love it too! I love what you've done. It's so cute! I can't wait to try something like this. What a great idea.